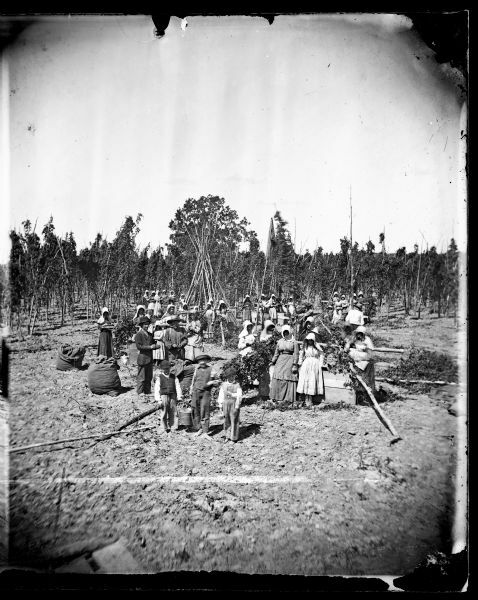 Group of men, women and children gathered in a hops field, possibly that of Paul Saavles. The women wear hoods. Original negative 272. See (X3)34701, a copy negative from half of a stereo card.